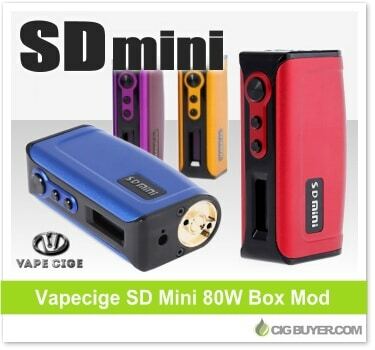 Looking for an attractive and compact single 18650 device? Not everybody needs extreme amounts of power, and the Vapecige SD Mini Box Mod offers more than enough output for most vapers in a compact and stylish form factor. Equipped with a reliable YIHI SX130H chipset, it offers up to 80W of power with variable temperature (212-572F) and joules (10-70J) and can fire as low as 0.2 ohms. It’s constructed from aluminum and brass with side-mounted controls, OLED screen, threaded battery cover and spring-loaded 510 connection.